Why a 12 Day Training? Wonder why your voice raises? The magic and spendour of ancient Hawaiian wisdom blended with the unprecedented opportunities of the modern world……Originally this learning was a 20 year full-time apprenticeship, students today can learn this to a very high standard within a few months to a year at the Hawaiian Massage UK Training Centre. Why learn with the Hawaiian Massage UK Training Centre? Learn from Master Trainer, Rosalie Samet, who was the first to bring authentic Hawaiian Lomi Lomi Massage to the UK in1990 after living with Hawaiian Kahuna Masters of Bodywork and Shamanism in Hawaii. Benefit from the bespoke step-by-step learning style that enables you to develop within your own timescale that leads to huge leaps of knowledge and awareness. Enjoy being part of a friendly, stimulating and supportive environment. Experience moments of profound personal insights which opens the imagination to a vibrant, colourful and dynamic world as your learning expands over the training period and beyond. Gain a qualification that is accredited by the CThA and the FHT. 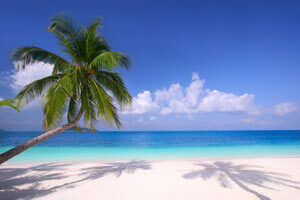 Hawaiian Massage Training is offered throughout the year in Brighton. Copyright © 2019 - www.huna-massage.com - All Rights Reserved.